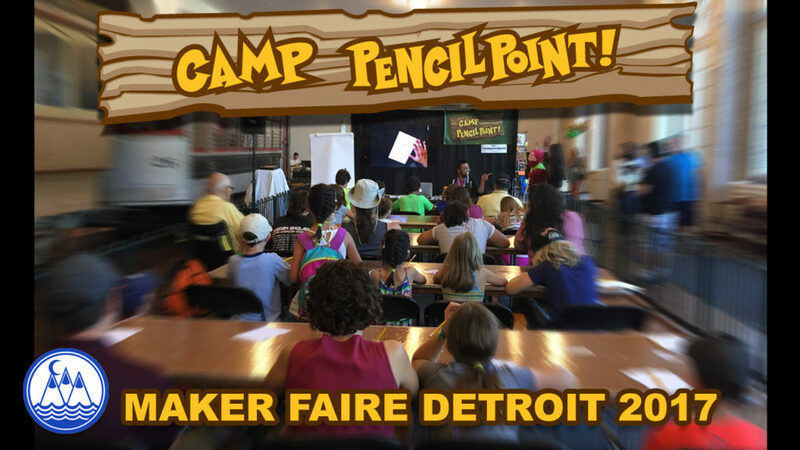 Maker Faire Detroit 2017 — In tonights video, we recap Camp PencilPoint’s appearance at Detroit Maker Faire at The Henry Ford Museum in 2017. Some highlights include Joe Foo drawing funny characters using simple shapes, Josh and Rachel sketching in the game Exquisite Corpse, and most importantly… EMILY LEADING THE PARADES PLAYING THE BAGPIPES!! • Drawing characters using simple shapes! 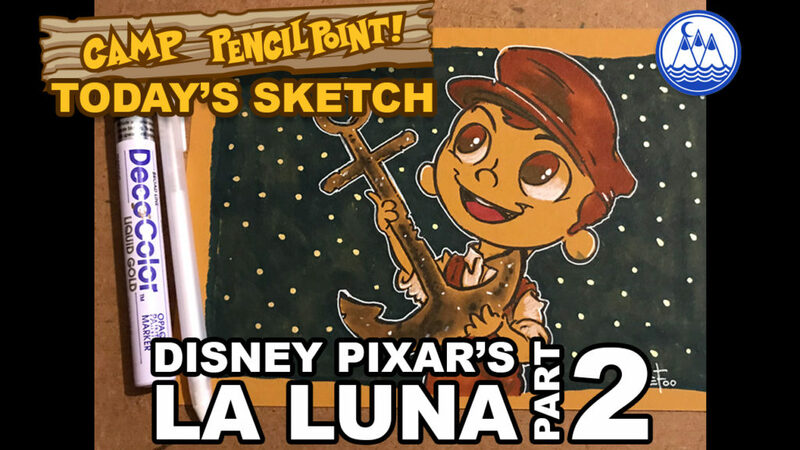 • Live Sketch Challenges like Silly Scribbles, Exquisite Corpse and Tag Drawing! • The introduction of Draw or Pie! • A chance to win original sketches from the artists! • A chance to chat, take selfies and draw with the artists! 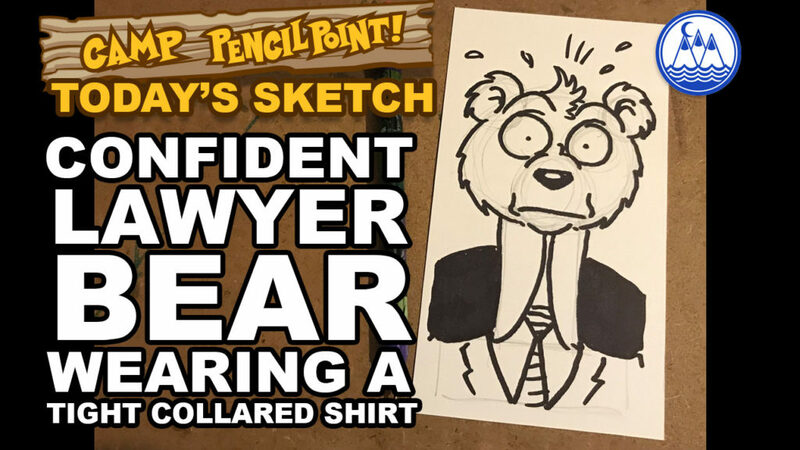 Otter House Activity— Tonight Joe Foo draws a confident lawyer bear wearing a tight and high collared shirt… just like the kind they wore in the 1900’s. Joe builds off of the character he created back in March in this video! 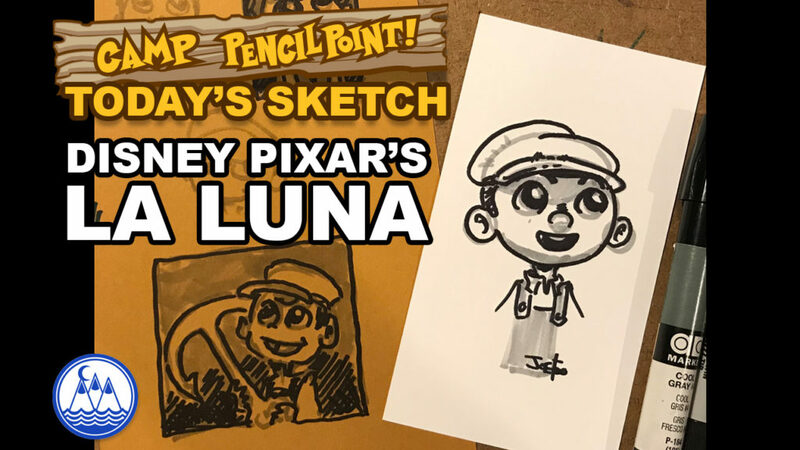 Octopus House Activity— Tonight… or today… Joe Foo draws a final sketch of Bambino, the main character from the Pixar Short La Luna. This is the conclusion to the three part series of videos focused around this character. First, Joe drew some thumbnail studies on a LIVE INSTAGRAM video. You can follow Joe on Instagram… the link is posted below. Second, Joe drew a preliminary sketch of Bambino, breaking him down into simple shapes. You can see that video here. Finally, Joe brings all of his plans together in this final sketch. Otter House Activity— Tonight, Joe Foo builds on some thumbnail sketches that he drew earlier this week on a LIVE INSTAGRAM video. You can follow Joe on Instagram… the link is posted below. In a quick drawing, Foo shows how he breaks down the character of Bambino from Pixar’s Short La Luna into simple shapes.